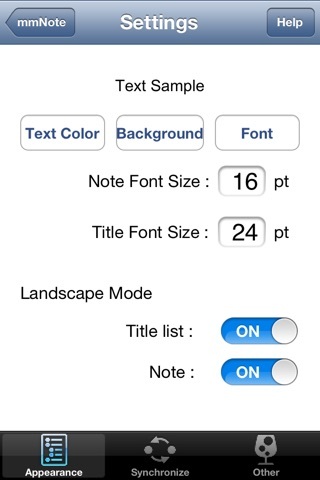 mmNote is a simple, easy-to-use notepad application for iPhone and iPod touch. 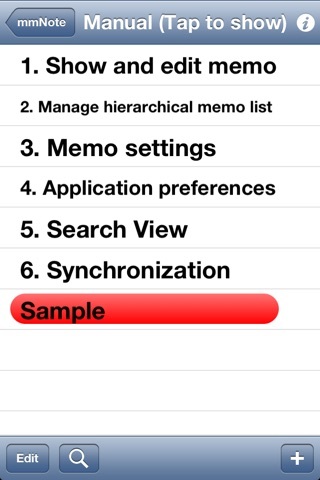 It can keep many memos in hierarchical structure and it has quick search function, so user can create, store, refer to and edit many memos swiftly. 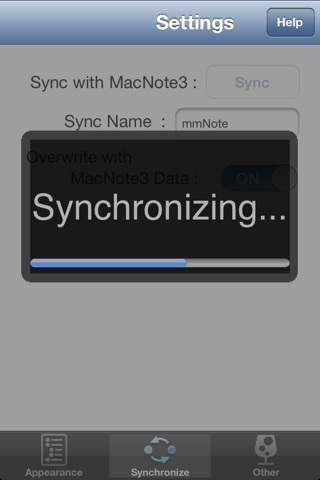 mmNote also provides synchronizing function with MacNote3 (Macintosh notepad application) via Wifi. 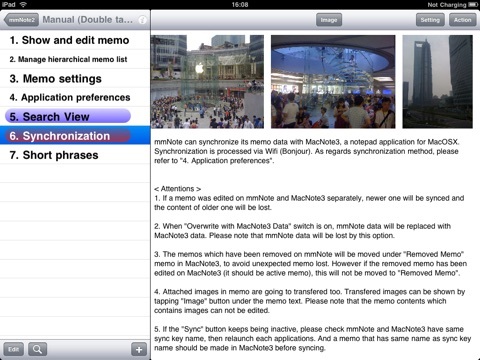 User can export those memos to their own Macintosh (with its images), also can create and edit memos on Mac and export them to iPhone/iPod touch. 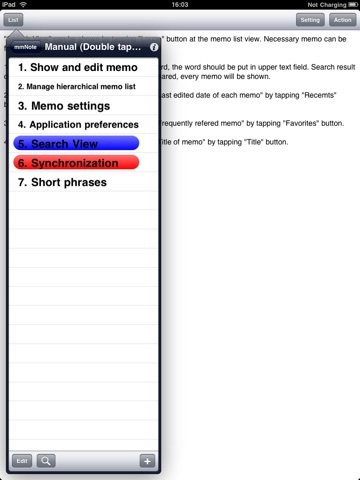 Via this function, longer memo can be stored in the iPhone/iPod touch easily.